So the rainy season have started in Vancouver, and this is one of those “bundle up and keep warm” outfit I can’t get away with. Lord knows how many times I’ve compromised comfort/health over satisfying my fashion-conscience but sometimes you know, you have to compromise. I know I’ve been over wearing this hat, but I can’t stop wearing it. It’s super super fun and it feels good to wear it. ahihihi! 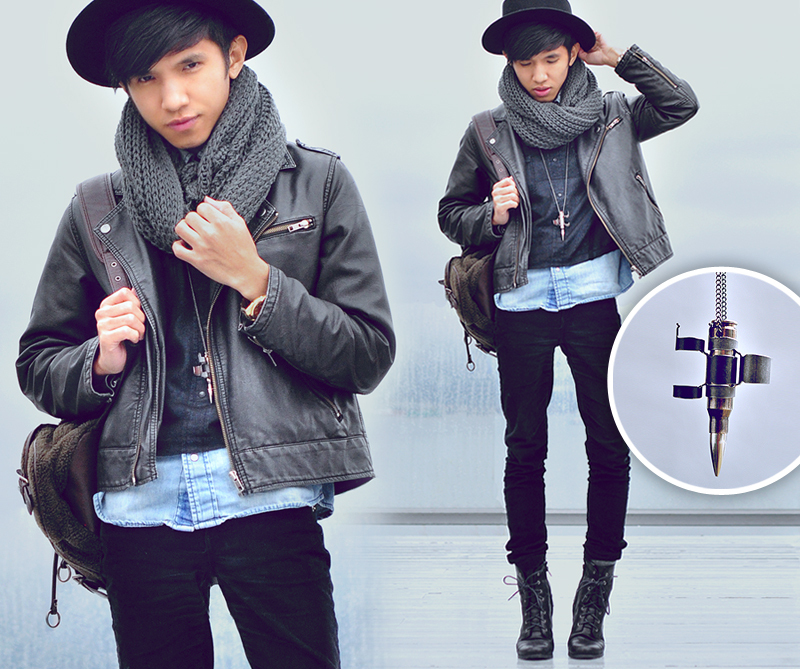 This looks features my a m a l y bullet necklace, which is one of most favorite jewelries now. Also, my newly acquired Hailey Sweater from OAK + FORT.